Trianeops menamena is a species of bat that is found in Madagascar. It was previously known as Triaenops rufus until 2009, until it was discovered that it was actually a different subspecies. 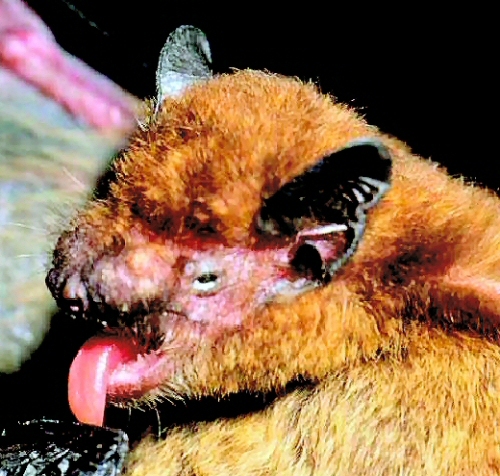 It was first described as a different type of bat by Goodman and Ranivo in 2009. Trianeops menamena is a medium-sized bad. It has various fur colouration, ranging from gray to reddish brown. The fur of this bat is silky, and its hairs are about 5 to 6 mm long. Males are slightly larger than females. Their wingspan is about 270 to 305 mm. It does look somewhat similar to other members of its genus. It can be easily identified by its echolocation call. This call takes about 6.5 to 13.5 ms, though it averages 10.1 ms. The period between two calls is about 42.7 mm. The maximum frequency is about 94.2 kHz, while the minium frequency is about 82.0 kHz. 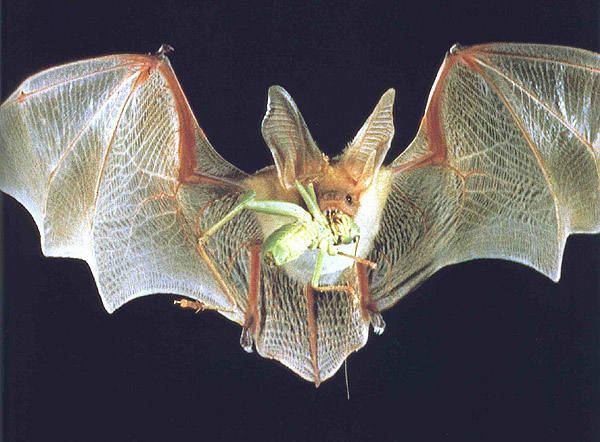 This bat lives only on the dry regions of western Madagascar. However, it has also been known to live in the humid areas in the northeast and the southeast, where it is found up to 1300 metres above sea level. Its natural habitat is the forest, however it has also been recorded to have been found outside forests so it is not entirely dependent on it. It is a cave dweller though, and roosts in large colonies. 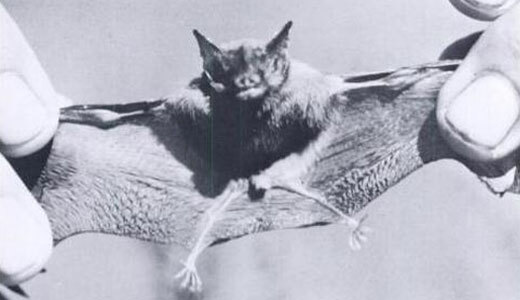 One colony was estimated to contain 40,000 bats. The population size of the Trianeops menamena is thought to be 121,000. Trianeops menamena usually eat insects. It eats butterflies, moths, beetles, and bugs.